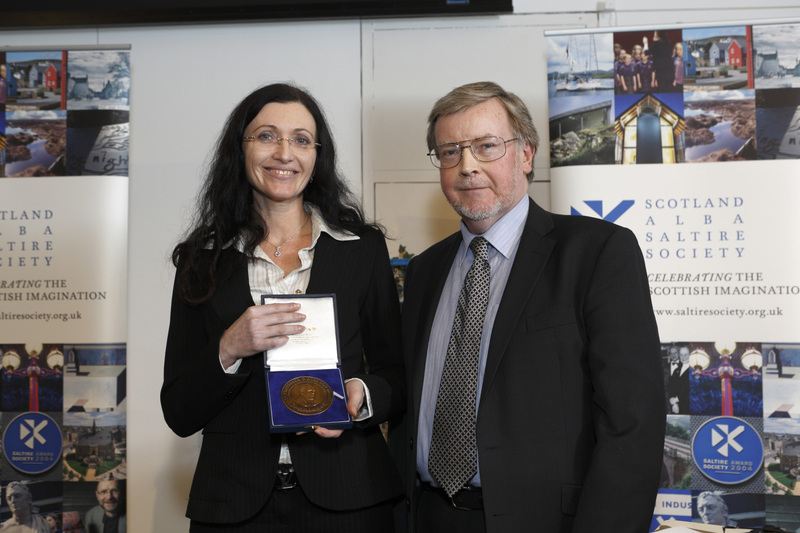 Many congratulations to Barbara Leonardi, winner of the 2014 Ross Roy Medal for the top PhD thesis in the field of Scottish Literature during the past year. The award was announced earlier at the Saltire Literary Awards at Dynamic Earth in Edinburgh. Dr Leonardi’s thesis, ‘An Exploration of Gender Stereotypes in the Work of James Hogg’, was completed at Stirling under the supervision of Dr Suzanne Gilbert. Her project employs politeness theory and literary pragmatics to examine Hogg’s linguistic and thematic choices, with particular attention to issues of chastity, marriage and Scottish masculinity. The project casts new light on Hogg’s ‘obstinate’ violation of gendered literary proprieties of the period (which discouraged frank treatment of prostitution, infanticide and the violence of war). The medal is awarded by the Universities Committee on Scottish Literature. Dr Scott Lyall, Chair of the judging panel, commented that ‘Leonardi’s writing is beautiful, and she shows real conceptual and socio-historical nous in opening up Hogg’s writing to a feminist and postmodern analysis’. Dr Leonardi will shortly join the team at Stirling completing the Research Edition of the Collected Works of James Hogg. A full report can be found on the website of the Stirling Centre for Scottish Studies.